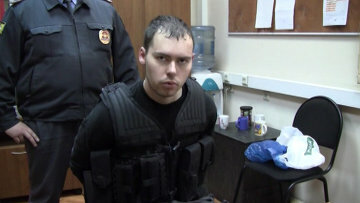 Lawyer planned to shoot his colleagues for 10 months | Russian Legal Information Agency (RAPSI). MOSCOW, November 9 - RAPSI. Dmitry Vinogradov, a pharmaceutical company lawyer who went on shooting rampage, started planning the crime in January 2012, investigator Vitaly Kupkin said. "He had been planning the crime since January 2012. He thought about it constantly, working out how to go about it," he said. Last Wednesday Vinogradov, fresh from a five-day drinking binge, opened fire from two semi-automatic shotguns on his colleagues while they were sitting at their desks. Five died during the attack, while a sixth died in hospital. On Thursday, investigators went through Vinogradov's testimony with him at the crime scene. Krupkin said that Vinogradov remembered all circumstances and showed a substantial degree of confidence during the proceedings. On Thursday, the court ordered the lawyer's arrest. 10:29 09/11/2012 Dmitry Vinogradov, a pharmaceutical company lawyer who went on shooting rampage, started planning the crime in January 2012, says case investigator Vitaly Kupkin.